Breathe new life into lawns, revive hardened soil, bring oxygen to grass roots and prepare lawns for fertilizing, all while you are walking around the garden. Sold in pairs. Designed to fit all shoe sizes. 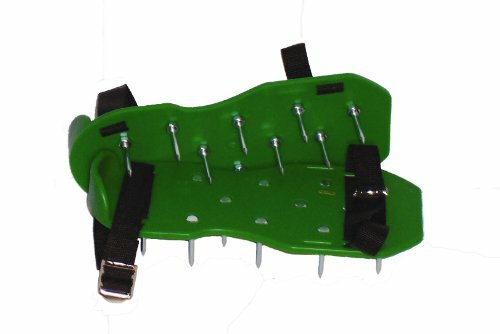 Each shoe has 13 spikes. View More In Manual Lawn Aerators. If you have any questions about this product by Bosmere, contact us by completing and submitting the form below. If you are looking for a specif part number, please include it with your message.